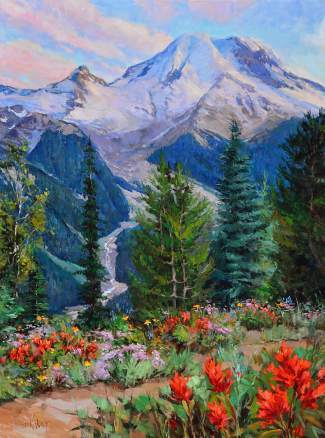 Meet the artist behind this and other vivid Colorado landscape oil paintings at C. Anthony Gallery in Beaver Creek this week. Eric Wallis will be in action painting at the gallery on Thursday, July 14, and Friday, July 15, from 4 to 8 p.m. He is an award-winning artist collected by art lovers from all over the world; visit the gallery to see new his works. For more information, call 970-845-8645 or visit canthony.gallery.